HomePrachinburiA Memorable Day Tour to Khao Yai National Park with a Local Expert! A Memorable Day Tour to Khao Yai National Park with a Local Expert! 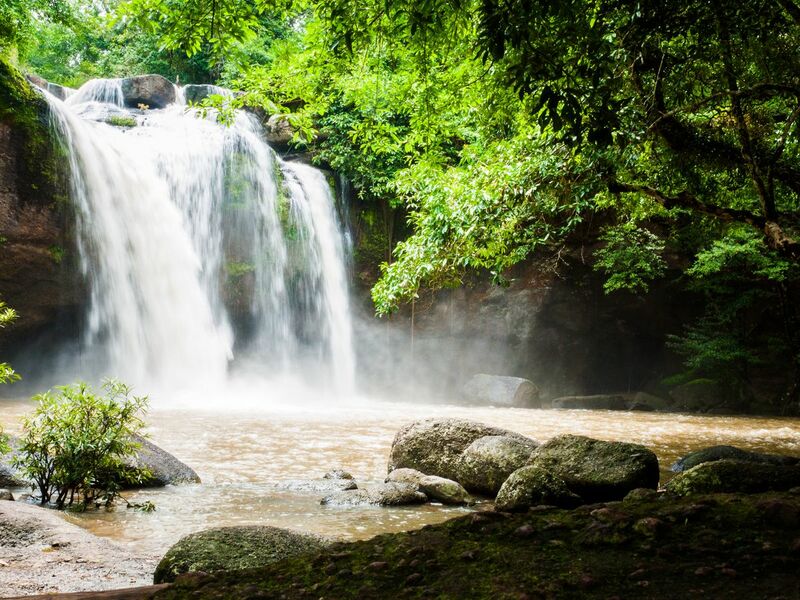 Khao Yai is Thailand's first national park, and is the third largest national park in Thailand! Khao Yai is just 3 hours away from Bangkok, and is a very popular destination for both foreign and local tourists! Join me on my trip and you'll see why! We have arrived in Khao Yai National Park! First, let's head to Haew Suwat Waterfall! Let's take some pictures and cool off on this hot day! Time to have some lunch! You'll get to sample some delicious, authentic Thai food! Afterwards, we'll head to Haew Narok Waterfall! This is another beautiful waterfall in Khao Yai! Immerse yourself in the beautiful atmosphere of nature! The trip ends now! We'll go back to Bangkok. I hope you've enjoyed your time and thank you very much for joining me! This time is rainny season in Thailand, when the forests thrive, crowds are thin, waterfalls are most impressive and wildlife most active. I think this place is great and wants you to experience the other side of Thailand. Gink and Jun were very friendly and accommodating hosts and brought us to places that are out of the usual itinierary. It was a long trip but we had a lot of fun! This was an awesome trip. Gink and Yut are the best. They were so kind and went above and beyond to make sure I enjoyed the experience. The park itself is spectacular! Highly recommended.